This data set provides the total amount of energy used (in MW) by all departments of the City of Edmonton, per person. It includes vehicle fuels (i.e. gasoline, diesel, propane and natural gas), natural gas heating for buildings, and electricity use for lighting, running the LRT, cooling buildings, etc. Per capita energy use is gradually declining as LED street lights are installed, vehicle fuel efficiency improves and building energy retrofits are completed. 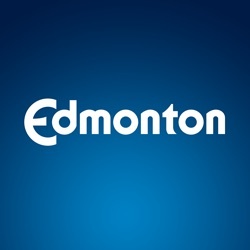 Energy used per capita is a measure of energy use efficiency within Edmonton's boundaries. The energy in this calculation includes vehicle fuels, natural gas and electricity. Energy used per person in Edmonton has declined significantly since 2005 primarily due to improved fueld efficiency in vehicles, furnaces and boilers, and changes to LED lighting. Edmonton has a target to improve its energy use efficiency by 25% (to 181 MW / person) by 2035. Mode of Travel for Journey to Work measures the percentage of people who travel to and from work by a method other than driving themselves in a vehicle. Active transportation (e.g. cycling and walking) is an important way to reduce greenhouse gas emissions, air pollutants, fuel consumption, traffic and parking congestion, employee sick days, and healthcare costs. It also significantly improves people's physical and mental health, and saves households money on fuel, vehicle and parking expenses. Although only 26% of daily trips made are commutes to and from work, these are the trips that set the traffic patterns for each day, resulting in the period of vehicle traffic congestion and therefore influencing the capacity requirements of the transportation network. Generally, Edmonton is trending favourably in this measure with more people choosing to use active transportation and transit for their commutes. Increased environmental awareness, protected bike lanes, and an expanding transit network has made active and public transportation more popular. In coming years, Edmonton will continue to see significant infrastructure investments that will further encourage this shift. This data is collected as part of the municipal census, which is conducted every two years. The Total % Commuting Sustainably column is the total percentage of respondents who selected “transit,” “walking,” “cycling” to indicate how they travel to work.